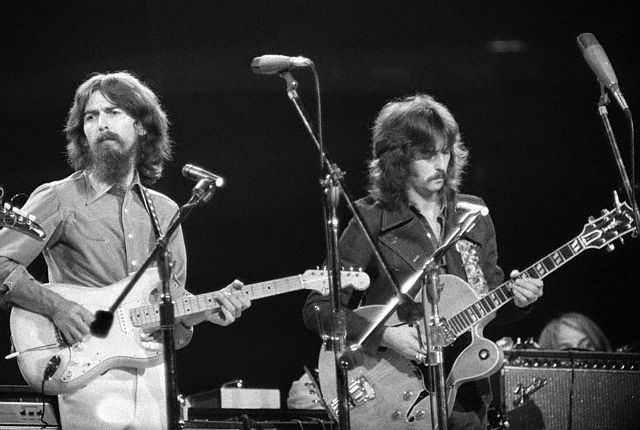 An electric guitar lesson on how to play the guitar solo to "While My Guitar Gently Weeps" by The Beatles George Harrison Eric Clapton. Another classic solo this time played by Eric Clapton. The notes are not complex in this one but getting the bends and vibrato right and playing it with feel will be the trick for most guys. Learning this solo will really help with all of the above and like I've said before, many times playing slow, hitting your bends at pitch and with solid vibrato, with feel, can be much more difficult than playing fast! I hope you enjoy the lesson and have fun learning the solo.